With technology growing as rapidly as it is, it’s no surprise that you might think email is on its way out the door. Outdated. Dead. Old school. You might believe the misconceptions about email marketing. You might believe email marketing is irrelevant in today’s world of SEO, social media, and blogging. But let’s be clear: Email marketing works. No matter how long it’s been around, it’s not even close to going extinct. It’s still an essential part of your marketing strategy. Here are six reasons why you need it. That’s right. 4.3 billion people send emails on a daily basis. 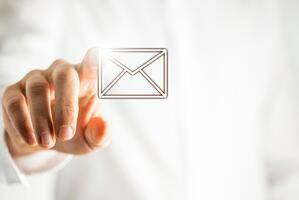 Can you think of any other marketing channel that has been adopted as universally as email? Not everyone reads blogs. Not everyone is on social media—especially on every platform. Not everyone clicks on online ads. But 4.3 billion email accounts are currently active. I think that makes it pretty clear that email marketing works. That’s a pretty significant number of consumers you could be targeting. With 91% of consumers checking their email every single day, there’s no doubt email is still a viable channel to be using. Plus, considering the messages you send via email stay in consumers’ inboxes until they’re deleted, you get a longer lifespan than other channels, like social media. Using other digital marketing channels, like Facebook, Twitter, and Google means that you’re playing by their rules. You constantly have to change the way you market your brand on these channels because they’re always changing the way they display content or index search results. But email marketing allows for a 1:1 relationship with your audience, with no third party involved. Consumers don’t want marketers calling them. They ignore the calls. They don’t want marketers texting them. It seems like an intrusion. Many don’t want marketers to reach out to them on social media or on other platforms, either. When given the option, the large majority of consumers request to be contacted by email. So why wouldn’t you give your audience what they want? It’s best to contact people where they want to be reached, after all. It sure increases your chances of getting your message across. Sure, you could blast out a social media message to all of your followers or fans. Sure, you can write a blog post for the world to see. But these messages aren’t going to get through to everyone. It’ll be hit or miss. It’ll resonate with a small fraction and be ignored by the rest because it isn’t relevant. Email marketing works because it can be highly targeted. You can segment your recipients into groups and then add recommendations for content or products based on their preferences. You can send contextual messages that are totally unique to those who open it, instead of blasting genetic messages. And, of course, being personal is more effective. 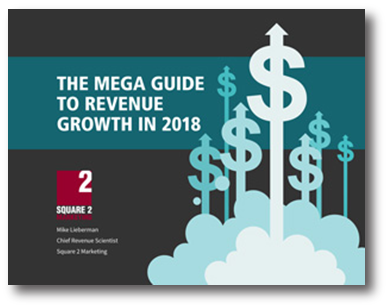 Why wouldn’t you want to use a marketing channel that offers you such a huge return on your investment? Why wouldn’t you want to get $43 of returns for every 1$ you spend? This statistic proves that email marketing works—and is far more effective than many more costly and popular marketing activities out there. Don’t brush off email marketing as a thing of the past. It’s still relevant. And it still works. Use it to grow your business, to nurture leads, to close leads into clients, and to delight customers. Send the right email at the right time, and see email marketing work its magic.